Dense matrix-matrix multiplication over small finite fields is a common operation in many application domains, such as cryptography, random numbers, and error correcting codes. 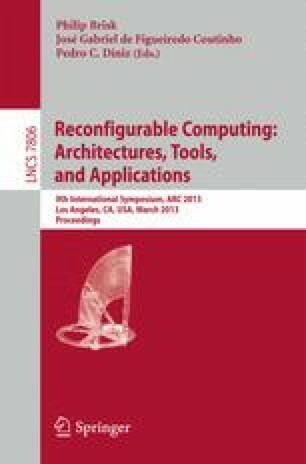 This paper shows that FPGAs have the potential to greatly accelerate this time consuming operation, and in particular that systolic array based approaches are both practical and efficient when using large modern devices. A number of finite-field specific architectural optimisations are introduced, allowing n×n matrices to be processed in O(n) cycles, for matrix sizes up to n = 350. Comparison with optimised software implementations on a single-core CPU shows that an FPGA accelerator can achieve between 80x and 700x speed-up over a Virtex-7 XC7V200T for GF(2 k ), but for GF(3) and larger finite fields can provide practical speed-ups of 1000x or more.